Our freight bidding solution provides you a comprehensive admin panel to manage complete platform. Shipments requested will be routed to the carriers and they will assign their nearby available driver to complete the request. Admin can Add/update driver information, view activity and performance, settle payments and more from the driver panel. Option to add/update all the freight vehicles, track them, view usage, maintenance updates and more from the custom freight bidding software. Admin can add/update all their transporters, view respective bookings, legal documents and more. Admin can add/update all their shippers, provide support for each booking and more. Admin can provide bids for request with instant quotes or auction for the shipper and furnish the shipment. Get useful insights, stats, and key metrics to make data-driven decisions with a custom-built freight matching app. Admin can manage all truck types, supported goods types, supported regions/routes, taxes, pricing and more. Option to set shipping rates based on distance, loading/unloading charges and taxes. 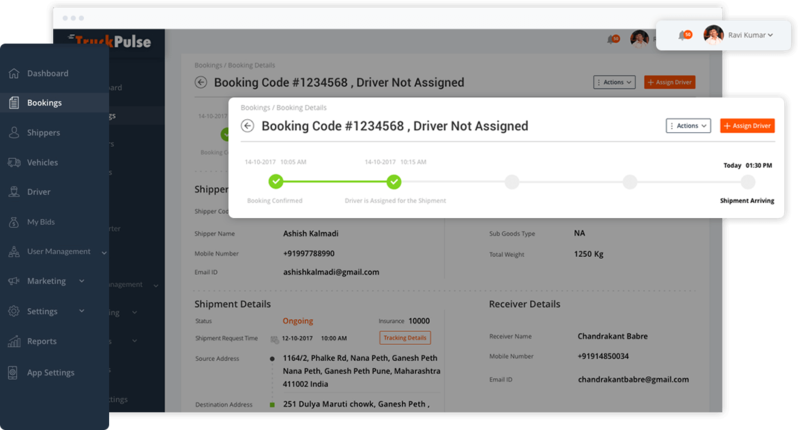 Admin can configure notification settings and messages for both shippers and drivers. Admin can keep track of all past, ongoing and upcoming bookings from a central place. Admin can view, manage, generate bills and invoices and track their payment status. Option to add and manage vehicle types, freight types, supported routes and more. We provide the best-in-class freight bidding solution to transform the way trucking businesses manage today’s on-demand, mobile-first world.